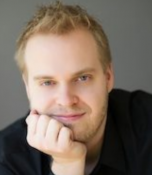 Matthew Thompson, DMA - collaborative piano, is Assistant Professor of Music at the University of Michigan. There his duties include teaching courses as varied as “Introduction to Lyric Diction and IPA” to groundbreaking and massively popular classes like “Video Game Music.” In addition to his classroom duties, Thompson serves as a vocal coach for graduate voice students. An avid teacher, Alex has instructed students ranging from beginner to advanced. Alex's students have consistently placed into top chairs all-state orchestras, bands, and youth orchestras in Michigan and Nevada, earned Superior ratings in solo and ensemble festivals, and has been accepted into summer programs including the Brevard Music Center High School Program, the University of Michigan MPulse Oboe Institute, and Blue Lake Fine Arts Camp. Additionally, his students have been accepted into competitive music programs, including the Eastman School of Music, University of Michigan, University of Texas - Austin, and University of Southern California. During the summers, he conducts lessons and masterclasses in Japan, most recently working with students in Kyushu (Southwestern part of Japan). Alex also serves as Oboe and Winds Faculty at the Clear Creek Music Festival, and has worked as Assistant Instructor at the U-M MPulse Oboe Institute and Clinician at Hawaii Youth Symphony Pacific Music Institute. Most recently, Alex recorded an album of Japanese composed oboe and piano works with University of Michigan faculty member, Dr. Matthew Thompson. Their CD, JAPONICA, is expected to release late-2018. 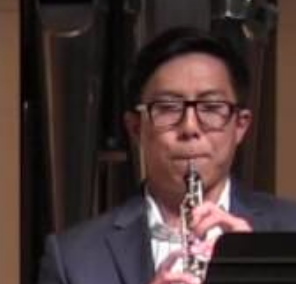 Alex and Dr. Thompson performed a selection of JAPONICA at the 2018 International Double Reed Society Conference held in Granada, Spain.